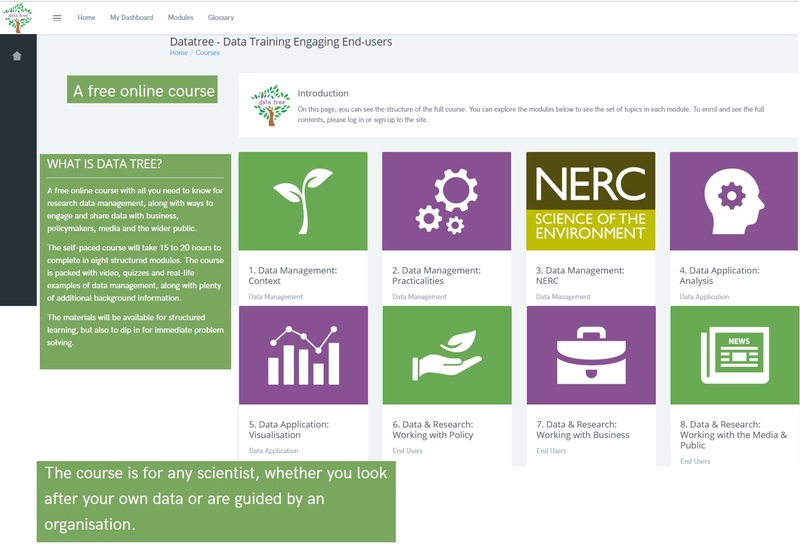 The Data Tree e-course in Research Data Management skills is now fully available here & goes live! There's a short trailer introducing the course. The course is free for participants and is funded by the Natural Environment Research Council (NERC) through the National Productivity Investment Fund (NPIF), delivered by the Institute for Environmental Analytics (IEA) and Stats4SD and supported by the Institute of Physics. The course aimed at PhD students and early career researchers in Environmental Science but it is relevant for any scientist who creates, manages and works with data, helping them to get into good data management habits. It’s a self-paced course that students can complete in a structured way or dip into to solve particular challenges. The mix of video and audio interviews, activities and quizzes keeps it engaging and there are lots of real-world examples to demonstrate the importance and applications of good data management.